The P-Furs last visited Music City in July of 2011 when they did a show at the Cannery Ballroom featuring their 1981 sophomore release, Talk, Talk, Talk, played in its entirety. The current War Memorial show wasn’t billed as anything special, and, sadly, this fine show by a great band was quite poorly attended. The general admission floor filled up slowly, and few seats in the balcony were occupied. There probably weren’t enough people on hand to fill the 500-capacity Exit/In. The small crowd, however, was enthusiastic, but the downside was an echoing sound mix from lack of warm bodies to stop the sound from bouncing all over the place. There hasn’t been a Furs full release since 1991. After an almost ten-year break, the band reunited to tour in 2000 releasing one newly-recorded song as part of a live greatest hits release. 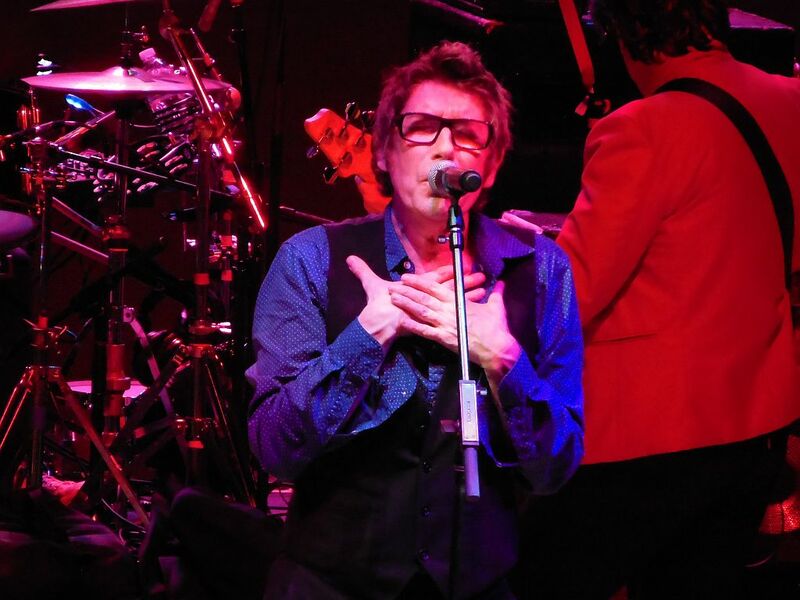 Today, the only two original remaining members are lead singer Richard Butler and his bass-playing brother Tim. Drummer Paul Garisto and sax-man Mars Williams have been Furs since 1986. Through it all, the Furs still maintain their distinctive dark brooding sound accentuated by Butler’s deep resounding voice. Their 80-minute War Memorial set included the three songs we all expected to hear plus a nice selection of cuts throughout their career. Butler’s lead vocals were in fine form. 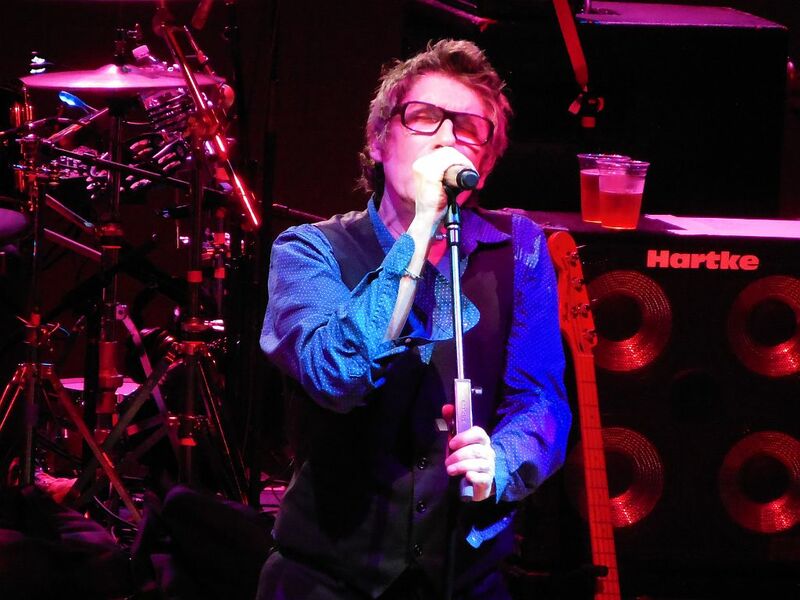 He is the quintessential lead singer sans instrument commanding the entire stage replete with flailing arm punctuations. His freedom on stage allowed him to shake hands like a campaigning politician throughout the night. 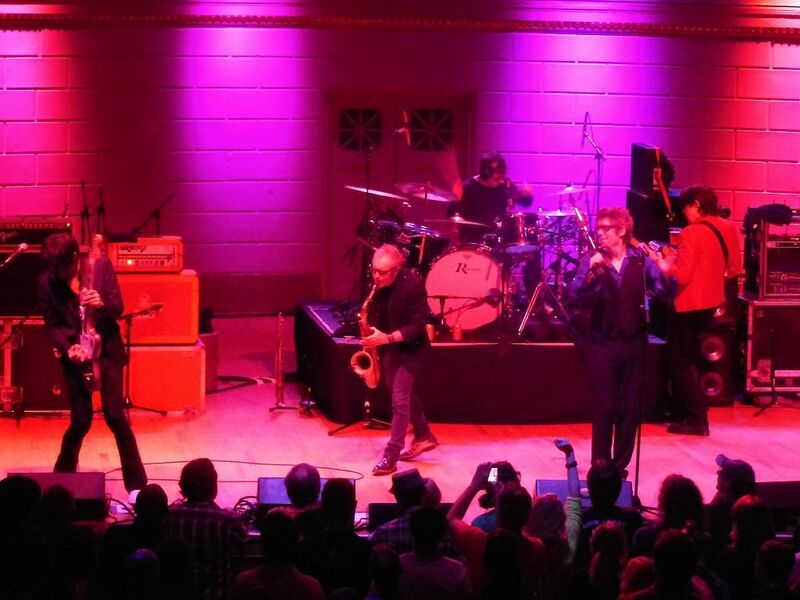 The Psychedelic Furs are able to consistently recreate their iconic sound. Some new music from the band would be a boon possibly bringing out a few more folk should they return to Nashville. To us more than casual fans, it may have seemed that they were just going through the motions. 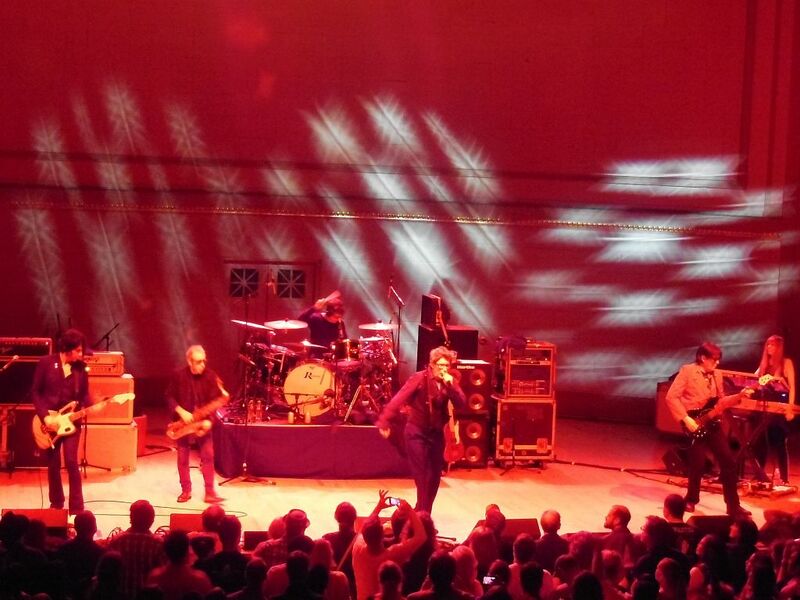 They played a set list that hadn’t change much from night-to-night, and Butler had few words to say in between songs. He never once mentioned Nashville. Disappointing. It made you wonder if he even knew where he was.